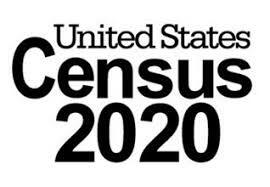 The United States government has announced that the demographic census of 2020 will include a question about the nationality of the country's residents. In response, the State of California filed suit against the measure, arguingThe state of California, which has a large immigrant population, responded on Tuesday by filing a lawsuit in a federal court against the Commerce Department and the United States Census Bureau, which organizes the census. California Attorney General Xavier Becerra has asked the US District Court in the Northern District of California to issue an injunction determining that the measure violates the Constitution by interfering with the obligation to conduct a full count of the United States population. The census affects the distribution of more than $ 675 billion a year in federal resources to schools, hospitals, roads and other public services, according to the Census Bureau. It also determines the number of seats for each state in the Chamber of Deputies. The last time a question about citizenship was included in the census questionnaire was in 1950. Experts fear that reintroducing the question may affect the balance of power in Congress. The announcement was made as President Donald Trump tries to keep his campaign promise to build a border wall between Mexico and the United States, stifling illegal immigration. Trump imposed tougher immigration measures and banned travelers from several Muslim-majority countries shortly after taking office in January 2017. that it would discourage immigrants from participating in the survey. On Monday, the Commerce Department, which oversees the census, said it had decided to add the issue of citizenship following a request from the Department of Justice to help improve the application of the Voting Rights Act. Only US citizens can register to vote, but President Donald Trump says millions of undocumented immigrants voted in the 2016 presidential election without giving evidence. Critics of the measure, however, point out that the question could discourage immigrants from participating in the census for fear that information could be used against them, which would undermine the accuracy of the survey. In the 2010 census, analysts estimate that 775,000 Latinos were not registered.